If you want to have a shot at winning races, it will be necessary to have a race engine built. How much horsepower will a built engine produce? There are many variables that will impact these figures, such as the vehicle’s engine that is being built (some are more receptive to engine builds than others), how it is being built (including what the club allows you to do), the parts being used, etc. To give you an approximate idea, a good (yet legal) SCCA Improved Touring engine will gain approximately 15% – 20% of its stock horsepower. Again, this is a very rough calculation, and the performance gains are dependent upon what other modifications have been done to the car. The prices to get your engine built (yes, you provide the engine that they will modify) will vary depending upon the builder, what you are having done, the condition of the engine you provide the builder, as well as other variables. To give you a rough idea, a well built engine complying with SCCA’s Improved Touring rules would typically cost between $3,000 and $5,000. When shopping for your engine builder, determine if they have experience building engines for the clubs you race with. 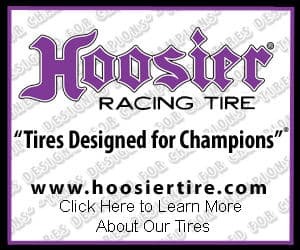 If they specialize in open-wheel formula racecar engines, you might want to seek another builder. Nothing says that someone who has not built an engine that complies with a specific club can’t perform the build, but it does make things easier if they are already familiar with the applicable rules. It is your responsibility to ensure that the engine build be done within the club’s rules. Get very specific information as to what will be done as part of the engine build process and what parts they will be using. Another question to ask is, “How will I receive the engine?” Will it be completely put together, including transmission, and ready for installation? Do they include resurfacing and balancing the flywheel into the engine build price? Determine any other costs (such as a new clutch) that you should figure into your budget. For example, during this race engine process, it would also be a good time to have a limited slip differential and racing clutch installed. Once the engine build is completed, it will be necessary to install it. Ask how much the builder would charge to complete this for you. 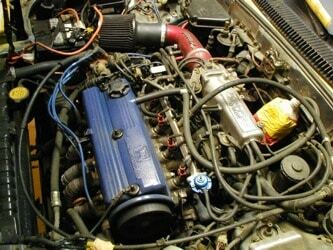 Another good option is for you to install the engine yourself. For me, personally, even just thinking about this process was stressful. Me, take the old engine out, then later install the new engine? Seriously? I looked into the engine bay and saw a mass of wires and other “things”. I spoke with my engine builder, but he simply did not have the time to install the engine himself. He agreed to mate the transmission to the engine so it would be “ready to go” into the car. I couldn’t help but think “Great, maybe I should have kept the stock engine in the car. At least I knew the car would run then.” Looking back on things now, the process was very educational in that I learned that it is not rocket science, especially if you are the one to take the stock engine out. When taking the engine out of the car, I took many, many photos with a digital camera and labeled absolutely everything very clearly. While the process was extremely time consuming, it made the install much easier. After installing the new engine and getting the car started, I really felt proud. I also learned a lot about the car and myself during this process. Assuming the engine builder mates the transmission and other parts are assembled, it typically won’t require many specialty tools, other than an engine hoist, to install the engine. When taking the engine out and installing the new one, consider borrowing or renting an engine hoist versus buying one. Once the engine is installed, you will need to break the engine in. Recommendations on how to complete this process are conflicting. My suggestion is to speak with the engine builder, and break the engine in according to what they recommend.